A good design begins with a good design concept. You’re trying to solve a problem and your concept will lead the way and give you direction for your design decisions. How do you form a concept? What questions do you need to ask in order to develop one? How does your concept become the roadmap for your design? I want to attempt to answer the questions above as well as share how I go about forming a concept for a new design or redesign. A design concept is the idea behind a design. It’s how you plan on solving the design problem in front of you. 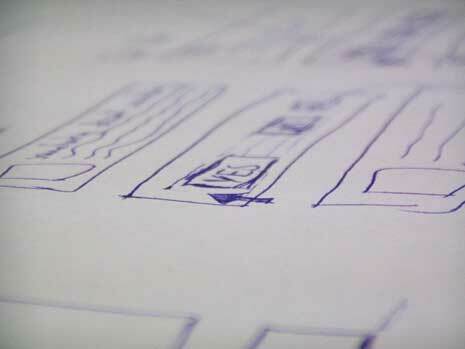 It’s the underlying logic, thinking, and reasoning for how you’ll design a website. 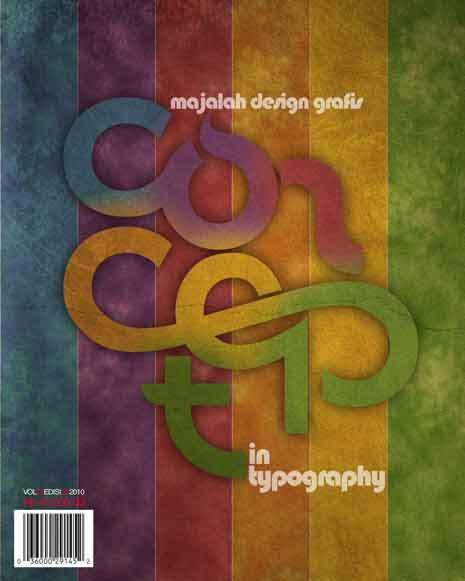 Your concept will lead to your choices in color and type. It’ll choose your aesthetic and determine your grid. Every design decision you make will fall back on your concept for direction. We can think of design concepts in two ways. Verbal – the verbal parts of your concept might be words you use to describe the site. For example your design concept might be one of sophisticated elegance. Verbal concepts tend toward the abstract. They’re focused on the message your design is to communicate. Visual – the visual parts of your concept might be a specific image or color scheme. It might be an idea to use circles prominently. Visual concepts tend to be a little more concrete. They should come from the verbal part of your concept. Visual concepts are focused more on the how of conveying your message. Typically I begin forming a concept verbally (a process I’ll describe below). At times, though, a concept comes to me visually. I may see an image in my mind for part of the site or the colors I want to use come in a flash. This usually happens after I have done some verbal conceptualizing, though before writing it down. Generally verbal concepts come before visual concepts as the visual is really about how you’ll communicate the verbal, though it likely depends on the individual and how you think best. Developing a design concept is something of an individual process. There’s no one right way to generate an idea and what works for one won’t necessarily work for another. However there are parts to the process that everyone should go through. Defining the problem – You can’t solve a problem without knowing what that problem is. Before developing a concept for a site you need to talk to your client and ask questions about the client’s brand, their customers, their general market, and their goals for the site. Research – Your client won’t be able to tell you everything you want to know. You’ll have to do your own research into their industry looking at competing sites and trying to understand more about their market. Both of the above should get you thinking and begin the idea generation process. The next part is up to you. I mentioned a few ways you can gather inspiration and generate ideas last week, so I won’t list them again here. Instead I’ll offer some of the questions you should be asking yourself and your client. What is your client’s brand? Who are your client’s customers? What are the requirements for the site? What is the objective of the site? What’s the budget for the project? The answers to each of the above should give you ideas for your design concept. For example Rolls Royce and Volkswagen have two different brands with different types of customers. The goals of their respective sites might be the same in some places (to sell cars) and different in others (history of the car vs technical specs). Knowing these things should start to point you toward a concept for either site. The list of questions above is hardly an exhaustive list. You should be asking as many questions as you can in order to understand as much as possible about your client, your client’s business, their customers, and what they want from the site. When researching the client’s industry you should be asking yourself some questions as well. What is consistent across sites in the industry? What part of the market is being underserved? What are your client’s unique selling points? What kind of imagery, copy, etc. resonates with the market? What other interests does the market have in common? Again not an exhaustive list, but hopefully enough to get you thinking of your own questions to ask. Your goal, as with the questions you ask your client, is to learn as much as you can about your client’s business, this time in comparison to the competition. My process always begins with the 2 items mentioned above, asking questions of the client and researching the industry. When talking with clients I’m always listening for the words they use to describe their business and their customers. They won’t always give you these words by directly asking for them, but there are other ways to get the information from them. Ask indirect questions – Your clients will often reveal things about themselves and their businesses when talking about other things. Listen actively – Sometimes the information you want is between the lines and you’ll have to listen actively for it. Speak their language – Stay away from industry jargon and use the words your clients use. I’m always looking for descriptive words like elegant, affordable, friendly, dynamic. Abstract words that convey meaning about the client’s brand. I’ll jot these words down while we’re talking and think more about them later. These words help form the verbal concept for the site’s design. Again you have to be prepared to listen. The words you’re looking for are often not going to come in response to a direct question. When researching the industry I’ll keep the same words in mind and look for others. I’ll look at how the industry as a whole describes itself and in what way(s) my client stands apart from the competition. Both lead to more words that will possibly serve as part of the abstract concept for the design. Usually after talking to the client and researching the industry I’m filled with ideas. I’m not sure which concept will work best, but the ideas are there. Once they are I prefer to then stay away from consciously thinking about the design for a time. The design will pop into my mind here or there and when it does I’ll let it, but at this stage I’m not sitting down to design. I’m letting the concept form in my subconscious. During this time visual concepts come to mind. I’ll see an idea for what the layout might be or maybe something more specific like a color or an image. For example years ago I was designing a site for a virtual assistant and an image of a file cabinet serving as a list of menu choices popped into my mind. It eventually became part of the visual concept for the site and led the way in the rest of the design. After a few days I know I’m ready and I’ll sit down and start sketching different visual concepts for the design always keeping the few words that serve as the abstract concept in mind. Again each of these is led by the abstract words that have become part of the verbal concept. One design might call for sharp angular shapes while another might call for soft rounded shapes for example. One thing I haven’t tried, but you may find helpful is to create a mood board. The link will lead you to a video explaining how to create one. If you’re unfamiliar with them they’re basically a collection of thoughts, possible layouts, and sources of inspiration you’ll use to design the site. They serve as a document for yourself or the client detailing the concept you have for the site. I’ve said it a few times throughout this post that my concept often comes from a few descriptive words. Those words are what I want people to think and feel when visiting the site. It’s part of the experience I want them to have. In order to do that every design element needs to be working in harmony with the concept. Every element needs to be communicating the same message. They all need to be in harmony with your concept. It’s in the trying to create unity and harmony that your concept leads the design. If your concept is one of luxury and formal elegance you know right away they you need to use more whitespace to suggest luxury. It suggests certain color schemes, like black and red and perhaps more symmetry to convey formality. You might have a great new grunge brush you want to explore, but it wouldn’t belong on this site since it wouldn’t fit the concept. Your concept will show you where to go with specific design decisions. It’s the roadmap you come back to again and again through the design process. If something isn’t working it’s probably because it doesn’t fit the concept. If nothing is working you might want to explore a different concept. The best designs start with a great concept. It’s your idea for how you’ll solve the problem of communicating your client’s message. While there is no one way to develop a concept the first necessary step is gathering information. You gather information by asking your client as many questions as you can and listening to the answers on and in between the lines. You also gather information through your own research of your client’s industry, products, services, and market. The more information you have the better you’ll be able to create different concepts for the design. You’ll develop concepts verbally and visually. The former helps determine the message you’ll convey and the latter helps determine how you’ll convey that message. Both are important roadmaps for your design decisions. Often you’ll find that getting away from actively developing a concept and letting your subconscious work on the problem leads to the best results. How do you come up with concepts for a new design? Do you have a specific process you go through or do you wait for inspiration to find you? Huh? I’m not sure what you’re trying to say. Nice post.. but agree with the shadows at the header.. I guess what I’m not understanding is what is the issue with the shadow. Are you saying you just don’t like it? Are you saying it doesn’t look right? Is it broken? What exactly do you not like about the shadow? Regardless I’m working on a redesign so before too long it won’t be there anymore. I find the article helpful. I don’t work with clients but I got a good tip here on how to conceptualize designs especially that I’m researching good knowledge about logo and background..
Glad I was able to offer something useful even of you don’t work with clients. 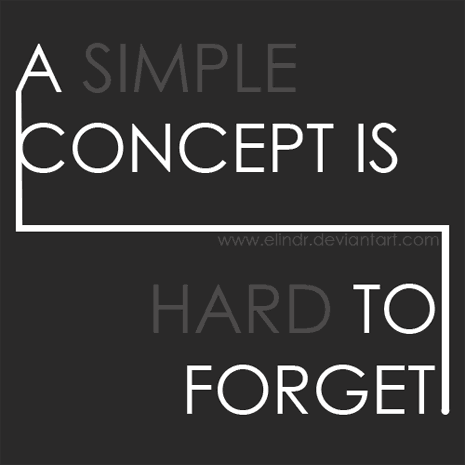 I think the basic idea is still the same with the only difference being who’s setting the constraints on the design. Cn u suggest some concepts aswell ?? You have to come up with a concept based on the project. for over 20 years and all of the points you made are integral to the design process. Great job! Header comments forgotten. 🙂 Header? what header? Thanks for the compliments on the article. Good to know I know a little something about print without ever having worked in print. You have made some very interesting and valid points regarding client and designer conceptual relationship. It is very hard to get ideas from what the client really wants from what the clients think they want. You made some pretty good suggestions here. Thanks for posting. Thanks Rod. Sometimes it can be hard to get the information you want from clients. In fairness to clients they don’t really know the kinds of things we want to know much of the time so it’s up to us to get the information out of them. It’s usually not as hard as it first seems if you’re willing to listen. Thank you for this article. I’m in school for design, and honestly this has been more informative than my last three lectures that dictated that ” I need a strong concept” without any detail as to how to get to that point and what a “strong concept” entails. Much appreciated! Wow. Thanks for the compliment. I’m not sure this blog can honestly replace a design education, but it’s nice to hear. I find the article helpful. Great article! I am working on the same concept for my new blog and I would love to share my thought on this issue. Any good books on concept development. Not that I know of, though I’m sure someone has written a book about concept development. It might also be something covered in general books about design. Are you referring to Advertising Design Concept. Can you list down some books name. 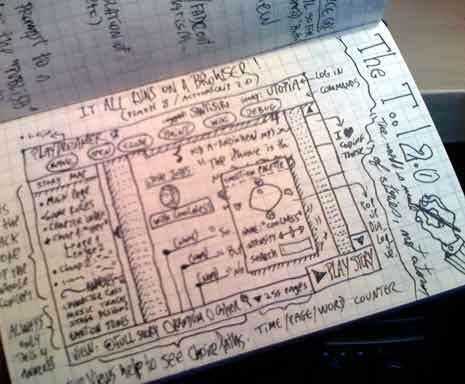 Also it seem from your blog you have a lot of good design articles. It would be helpfull if you make a list of must read books on design. I’ll write a post with some book recommendations. They won’t all be about design concepts specifically, but some will include thoughts about concepts. I’m glad I could help vector. I hope I’ve made it easier for you to think up a concept for your next design. Thank you for this article. I’m in school for web design, and honestly this has been more informative than my last three lectures that dictated that ” I need a strong concept” without any detail as to how to get to that point and what a “strong concept” entails. Much appreciated! Thanks for the compliment. I’m glad I could help. Yeah it would be nice if your lectures said more than get a strong concept. A little help with what that means or how to go about forming a concept would be nice. just about to hand over a uni work, and although I am an abstract artist myself, however, i found this straight forward guide very useful!!! Thanks Ama. I’m glad I could help. how about the text style? i think its have a role in visual design concept. I’m not sure what you’re asking. I do agree that your type choices play into the concept of the design. Is that what you meant? thank you and ask permission to read all your posts .. Thanks for the article! I am working on a concept for one of my design classes, and I was really confused and frustrated before reading this. You’ve given some great tools and advice on how to get started so thank you! I’m glad I could help Megan. If you’re interested I recently wrote another article about developing a concept. There are some similar ideas, though I think the more recent posts has better examples. Thanks Jules. I’m glad you enjoyed the article. I don’t have any experience working as a digital painter of with film, but I would think the general idea of what I suggested here still apply. The details might change. For example when designing a website you might use lines to indicate motion. On film you could literally show motion. Overall though I think the same basic principles apply. Loved your article, great practice advice for any type of design. Thanks for the help! I realise this is an old article, but it’s still well and truly relevant today. I’m a design student, but there is so much that information that I have to go looking for from other sources. I do wonder whether the university fees are worth it. Thanks again! Hannah. Thanks Hannah. Hopefully the content here is somewhat timeless. I’ll let you decide if university fees are worthwhile. I didn’t go to school for design, but I still value the education and I experience I received in college. I think school is more about training you to be able to teach yourself later. Once I have a concept and a design, how do I document it to share it. Another words what does the output design effort. Is there a useful template? What must be included in the document to assure the design is complete and actionable. It really depends on who you’re sharing it with. Style guides, style tiles, and moodboards are all ways designers help refine a concept and communicate it to clients. 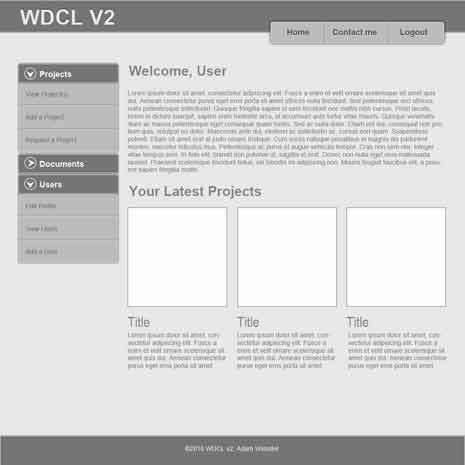 There are some basic templates out there for all 3 to help you get started, though it might be something you prefer to create your own template for with the understanding that each project is different and so may need adjustment to the template. I don’t know that there’s anything that has to be included in the document in the sense that it really is project dependent. When working on a site I’d want to include information type, color, and images at the very least. I’d also want some description about the mood and feeling you’re trying to convey. well i am from pakistan, glad to read this article, really it’s much helpful for me, you know what i just started graphic designing but i had’t knowledge about idea developement process and all that, this was my in between lines. thankyew so much for posting such a great thing really. God Bless you. Thanks Mehar. I’m glad I could help. Would you mind sending me best book on Architectural design concept development? Thank you ! Sorry, but I’m not an architect and I’ve never read a book about architectural design concepts so I couldn’t possibly recommend one. I think the general advice would be to think about what you want to communicate and then use your knowledge of architecture to figure out how to communicate it. I’m having trouble to understand what are the most important of aspect of concept in relationship to interior design?. If you don’t mind to answer. I am a student n I don’t work with clients . I was a stuck and its a very crucial point in my semester… This article gave me a new insight as to how things can be done… Thank u.
I am an architecture student. I need a concept for every design. 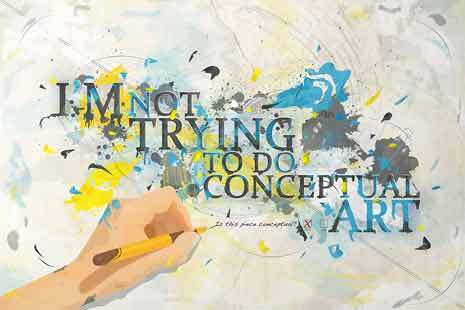 But i mever get a concept or new ideas. Do you suggest anything that would help me getting mew odeas amd thinking of concepts… i really found ur article veryy helpful … but i still cant think of new concepts ?? I think that krs something about my mind that it is blocking to think beyond.. idk what ! But i just cant think of anything! Like i know i cam do very well amd i have that thing that I can think of very good ideas and idk what is blocking my mind! I kind of sound crazy! But idk this is my problem i think… ??? Exceptional article Stephen, showing such a depth of understanding, creative process and knack for communicating. 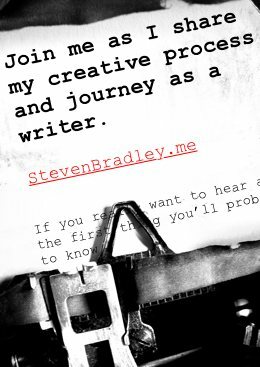 Personally, I would make your article(s) an essential resource for new design students. Thanks for sharing. Thanks Paul. I’m glad you enjoyed the article. Hi, so I have a client that wants a few concepts for a Facebook video ad. He doesn’t want me to create the video, he just wants ideas/concepts for it. How should I go about putting the concepts together? Do I just write it out and explain my ideas to him? Would greatly appreciate your advice. Thanks! Hi Janelle. That’s what I would do. I’d write out my thoughts and reasoning. You could put it together as a presentation with some imagery if you want. It’s hard to know what this specific client would want to see, but given he doesn’t want you to create the video, words and images are your best bet. I’d probably start with what they said they wanted. Something like, you mentioned x, y, and z, and because of that I thought a, b, and c would communicate x, y, and z. Does that make sense? Then I’d continue with here’s why I think a communicates x, and so on. This is a really informative and helpful article for someone like me who might want to start out in the field of web design in future. I needed to understand the fundamentals, which the article provides. Thanks a lot.
! !i have bèen doing a project proporsal and i had to write about brief anaysis and design concept and design development too! !,here then i have liked your article because of some light you have shade on me! !work well done!! So great to read this article on design concept. I am quite glad to find something like this.